Following the publication of his prize-winning and best selling book, The Dignity of Difference, Rabbi Sacks’ standing as one of our foremost spiritual leaders is beyond dispute. He has brought hope and encouragement to people at a time when many feel threatened by the complexities and challenges of the turbulent modern world. 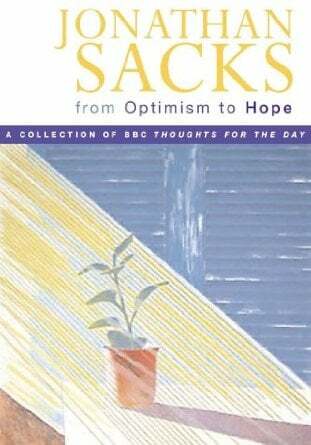 In recent years, Rabbi Sacks has been a star performer on the BBC Thought for the Day programme, on Radio 4. These short, perfectly crafted addresses show the Chief Rabbi at his most lucid and most intelligent. Confronting the issues of the day, he brings his listeners extraordinary insight and for this he has found the perfect medium. Here, The Chief Rabbi has selected his favourite pleces for publication in book form and the result is a book which will appeal to a very wide audience- people with religious belief and those with little or none.